たのしさ∞ | Fun is infinite. Last summer, while my wife was away on an overnight babysitting gig, I had the pleasure of hosting an all-night nerd fest for a group of close friends. The objective: to invoke that elusive and mischievous grade-school-sleepover spirit and play as many old-school games as possible. Mainstream culture seems to suggest that men in their late 20's should spend their time away from wives or significant others indulging in cheap beer and cigars over games of poker with their buddies, during which all manners of lurid speech regarding people who are not their wives or significant others must be discussed. This was not that kind of night. That evening, after a sumptuous barbecue of garlic lemon chicken and bell pepper skewers, seven of us descended into the basement den, which had been reassembled to accomodate 9 consoles and a M.A.M.E. setup on the side. Bouncing from system to system and game to game throughout the night only got more exciting as I watched my friends rediscover old games they had forgotten, as well as introduced them to titles they'd overlooked or otherwise had never heard of. I was curious as to which system was going to command my friends' attention the most, and was expecting the NES to be the front runner. Much to my surprise, however, everyone seemed to be most captivated by the Neo Geo CD and the M.A.M.E. setup. In retrospect, it made perfect sense, as a room full of people could only watch a single player navigate the tricks and traps of a Mega Man 3 level for so long, despite the focus-enhancing haze that hung playfully in the gentle, basement air. It made me realize how much I missed going to arcades as a kid, strolling up to a 4-player beat 'em up, and joining three strangers in an effort to overthrow evil, redeem a decaying city, and rescue a kidnapped babe. Or, even better - meeting up with a group of friends and feeding quarter after quarter into a cabinet until it was conquered, with cheers and high fives all around. You know, greats like Konami's X-Men, The Simpsons, and Teenage Mutant Ninja Turtles, all three of which were arcade-dominators. Seriously, it's hard to believe that one company could have hit so many home runs in such a short span of time - of course, the popular licenses helped, but the games would not have been nearly as popular if they didn't play well or look good. I have an incredibly vague, yet powerful memory of conquering TMNT with three other kids in an arcade when I was 6 years old - actually, it feels more like a half-remembered dream than a memory. I had played the game many times before, but this time, I chose to spend the entire allotment of quarters that my parents had bestowed upon me towards stopping Krang and the Shredder once and for all. The arcade was attached to a mini golf place called Western Trails, located in the south suburbs of Chicago - an incredibly fun place to be as a kid, full of sculpted fiberglass figures that resembled cartoony cowboys and perilous, desert-themed hazards to putt around. 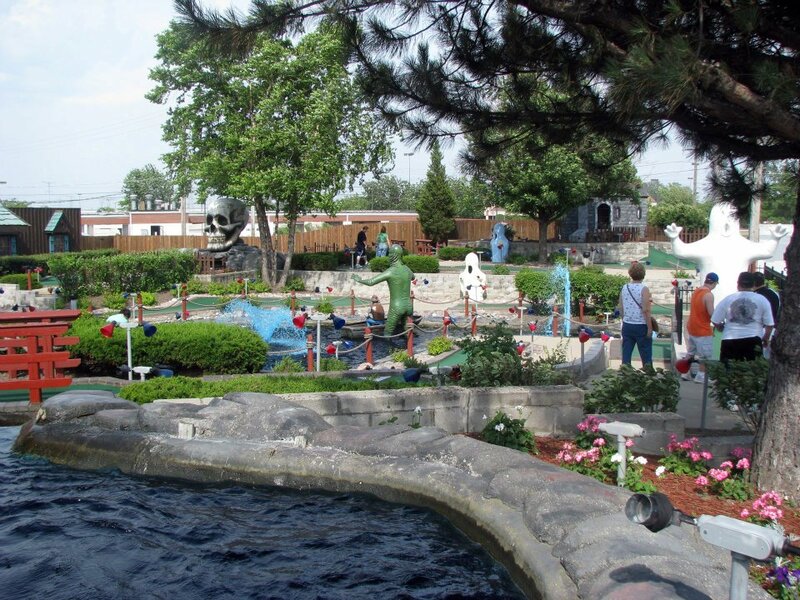 The mini golf course was fun, but I would often rush through it in order to make my way to the arcade as fast as possible. 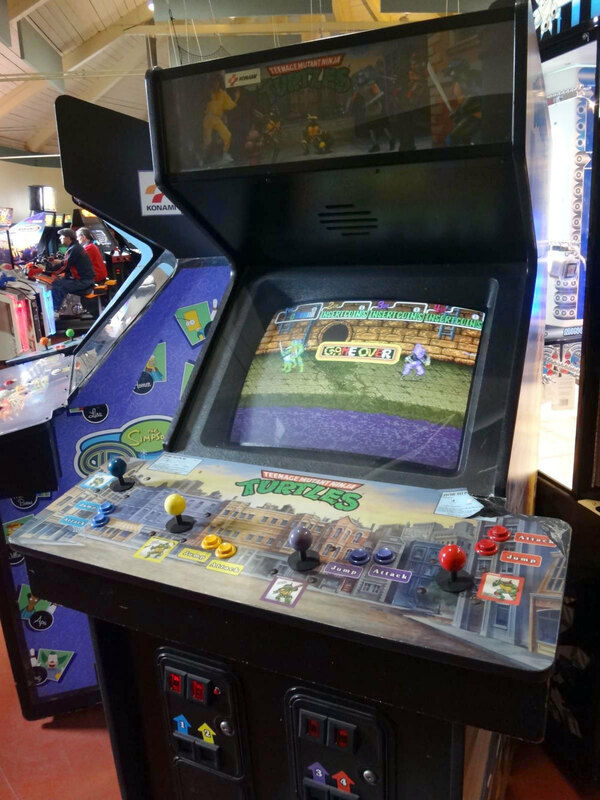 From what I can recall, the TMNT cab was placed just inside the entrance to the arcade, denoting its flagship status as money-making centerpiece. I joined the group of boys, already engaged in combat, about halfway through the first level. They welcomed the addition of my bo staff and encouraged me to "Keep up." I wish I could remember what they looked like more clearly, as my memory of them exists only as a whirlwind of backwards hats and blurry Starter jackets, but my attention was focused too intensely on the screen to absorb the details of their likenesses. It was incredibly dark in the arcade overall, save for the ambient light projecting from rows of vivid monitors in the background, and a purple neon glow emanating from TMNT's backlit marquee. The other boys were mostly about my age, maybe a few years older, but we were all in it together. "TONIGHT, I DINE ON TURTLE SOUP," the Shredder mocked... but we fought tooth and nail through endless waves of foot soldiers in pursuit of April's rescue. We helped each other, we complimented each other's playing style, and we warned each other of upcoming traps and cheap hits. We cheered, gasped, and laughed in unison at the events unfolding before us. When we reached the Technodrome and fought our way through to the end credits, it seemed like the entire arcade was buzzing with our accomplishment. At this point, the rest of the memory tunnels and fades into a psychedelic swirl of CRT monitors and flashing lights. I wonder what those three kids I finished the game with are doing right now, and if they ever think about that same exact moment in any capacity. Game experiences like that really brought people together in such a close and unique way, unlike the harsh and profane online matches of today's uncooperative games, which are littered with racial slurs and homophobic rants. It's funny how advances in technology can bring people from great geographic distances together on the one hand, but can be so isolating and anti-social on the other. Throw a bit of relative anonymity in there, and you have a recipe for levels of trash talk that were unheard of in arcades back in my day. Sure, it could have existed then too, but kids are pretty sensitive to forbidden four-letter words of power, and not once do I remember profanity or racial slurs being shouted at other players in arcades as a kid. In addition to Western Trails, there was another miniature golf course and arcade combo in town, presumably owned by the same company. Having grown up with a strong interest in horror movies at such a young age, Western Trails was behind me once I learned of its spooky alternative - Haunted Trails. Like its western cousin, Haunted Trails had a very elaborate and fun outdoor mini golf course, featuring an enormous, ax-wielding Frankenstein at the entrance. The final hole on the course required you to hit the ball up an incredibly steep and skinny bridge into a giant skull's mouth. It wasn't a cheery, child-friendly Halloween skull either - it was a massive, monolithic nightmare with grotesque eyes and gnarly teeth. Getting your ball in the center hole at the back of its throat earned you a free game certificate - but it was a near-impossible task. You only had one chance, and missing or falling off the bridge would lead your ball into a retrieval trap, which was designed to end your game and streamline the ball collection process for the course employees. Not only was their course more interesting to me than Western's - their arcade was larger and more spaced out, featuring a wider selection of games as well. 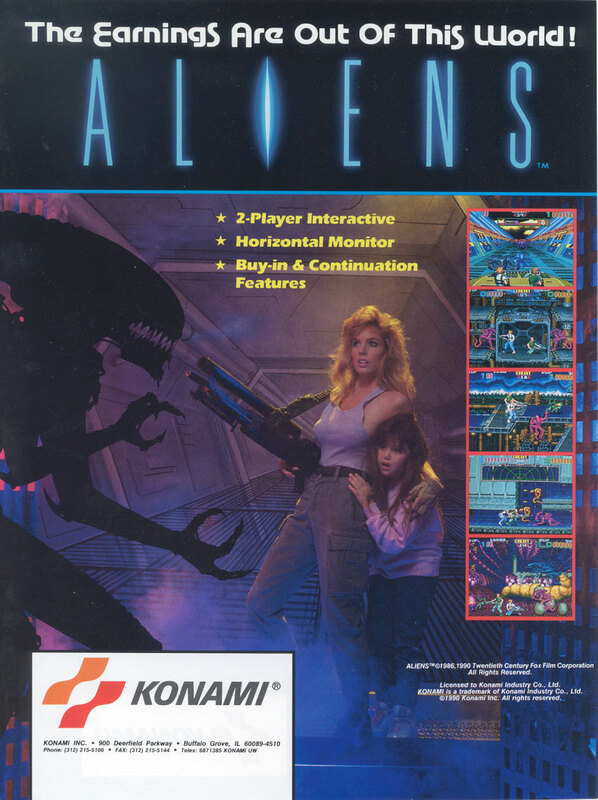 It was the home to what quickly became another favorite of mine - Konami's Aliens. I feel like I say this a lot when the topic of movies and my childhood comes up, but how the hell my parents allowed me to be exposed to Alien and Aliens at such a young age is beyond me. Regardless, I remember the first time I saw the official Aliens cabinet standing in Haunted Trails' arcade, and the surge of adrenaline I got at discovering a game based on one of my favorite movies of all time. While discussing Abadox a few entries ago, I mentioned the influence that the Alien films had on the Contra series - it's obvious that Konami's game designers and artists were inspired by the iconic creatures, and incorporated their likenesses into their own creations. 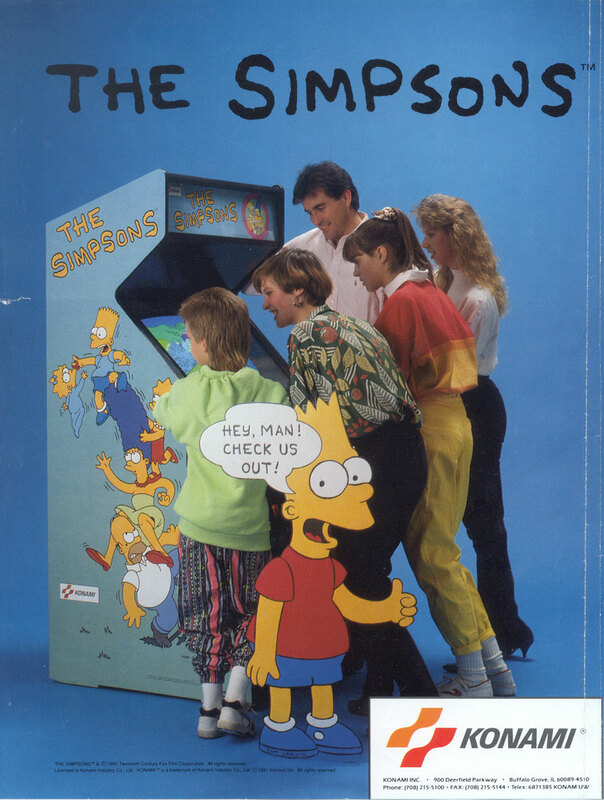 How excited must they have been to have the opportunity to actually create an arcade game based on the license from which they drew such inspiration? I like to think that at least some of the artists and programmers jumped for joy at that one. In fact, I think their excitement shows in what an awesome, quality game Aliens turned out to be. 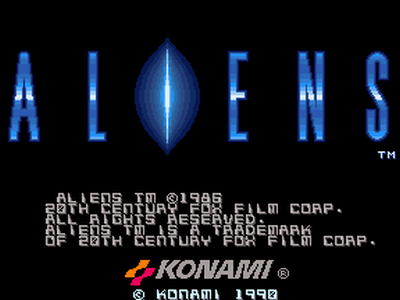 Despite many significant changes from the film, most of which exist in terms of the game's bestiary, Aliens is the perfect caricature of the film in many ways. In fact, the liberties taken with the enemies is pretty crucial to Aliens as an arcade game - the abundance of non-standard xenomorphs not only keeps you on your toes throughout the game, but it also adds a lot of color and variety to a series that typically only portrays about four consistent creatures (the facehugger, chestburster, mature xenomorph, and alien queen). Also, in this version of the story, the crew of the U.S.S. Sulaco has arrived in the midst of the xenomorph outbreak within the colony on LV-426, rather than arriving after the majority of the population had been impregnated or wiped out. Regardless, we are presented with a lot of familiar icons from the film, such as smart guns, the colonial marines' tank-like assault vehicle, the appearance of a terrorized Newt, as well as an unstable, burning bronze industrial complex, drop ship rescue, and final confrontation with the queen that ends in an airlock extradition into the cold depths of space. Waltzing on into an arcade and stumbling upon that game was so exciting. Every trip to the arcade was about discovery, and getting drawn in by compelling artwork and attract modes. It's sad that nowadays, arcades are almost non-existant, and discovering games is barely a thing anymore, as it seems like the same triple A titles keep getting force fed down my throat by colossal marketing machines. There are some glimmers of hope though - specialty arcades that exist almost as preservation groups or interactive gaming museums in a way. The absolute best that I've been to, hands down, is the Galloping Ghost in Brookfield, Illinois, which is just a short Metra ride west of the Chicago Loop. The Galloping Ghost is a goddamned mecca of arcade gaming - an arcade aficionado's waking dream, where all games are free to play in exchange for a reasonable $15 cover charge. They have an ever-expanding list of quality games, including some incredibly obscure ones and things I've never even heard of before. They professionally maintain each machine and make any necessary restorations before placing a cabinet on their floor. Iif a game's joystick or jump button stops doing it's job for you in the middle of a game, they'll swap the parts out for you on the spot. And, they'll even officiate an attempt to beat a world record on any particular game, and will submit the results on your behalf to any and all appropriate parties, including Twin Galaxies. They are just incredible. The first time I visited, I finally got to play one of my all-time favorite shooters, Forgotten Worlds, in it's original, authentic form, roll switches and all. I'd never even seen the cab in person before. It was beautiful. So was the Splatterhouse cab standing next to it. And their widescreen Ninja Warriors. And their Ikaruga cab. And their everything. My only gripe with GG is that I wish they would ditch their office-style fluorescent lighting in favor of something a little more atmospheric and "arcade-like." But hey, who am I to complain? Their selection is so insane, I really shouldn't be critiquing the lighting. Here in Ann Arbor, we have Pinball Pete's. They're not the worst, they're not the best. But I'm happy we at least have something in town. They have a decent variety of games, but on the whole, things are in general disrepair. Joysticks are loose, buttons are mushy, and certain screens are burned in to the point of affecting gameplay enjoyment. 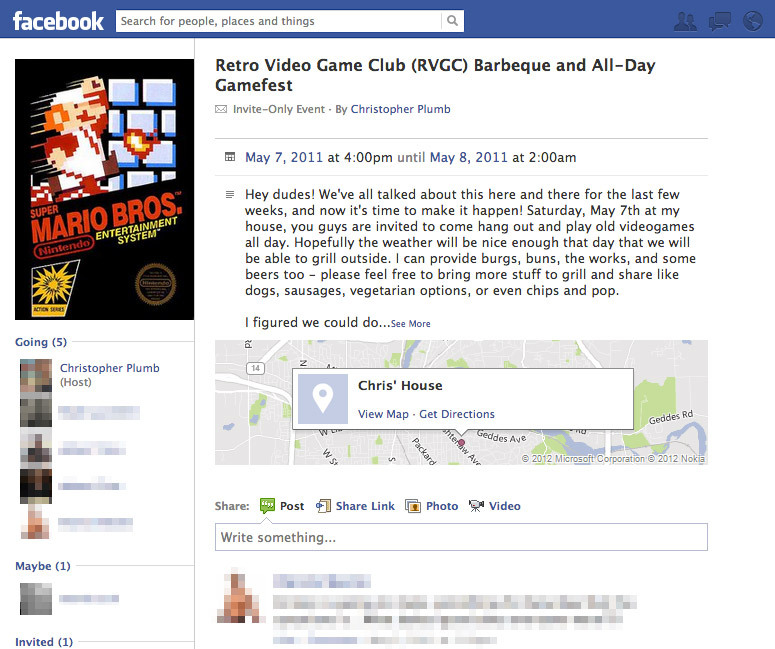 And, call me a curmudgeon, but gaming in the middle of the college crowd just isn't my thing anymore. At the Ghost, you're basically saturated by people who are just as excited as you are to see a Combatribes or Haunted Castle cabinet out in the open. The ambiance at Pete's isn't terrible though, as the lighting is relatively dim with a moderate saturation of neon lights, and a relatively cacophonous din of game sounds erupts simultaneously from all directions. One of my many elaborate daydreams revolves around purchasing this place for an insanely low amount of money, remodeling it to feel like the authentic 80's and 90's arcades of my distant memories, and elevating the quality of game selection to that of the Galloping Ghost. My dream arcade, I imagine, would strive to have an almost dangerous feeling, like that of the Footclan's hideout (except without all the under-age smoking, or smoking in general, of course - Sam Rockwell could stay, though). I really hope that places like the Galloping Ghost continue to thrive and are still around in a few years when my son will be old enough to visit and appreciate the experience. If they aren't, I might really have to just bite the bullet myself, take a risk, and make my own. I'm telling you, the ideas that I have... it would be the best. I promise you. "WE WANTED THE PLAYER TO HAVE TO STRUGGLE."